Welcome to my website! 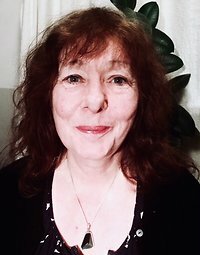 My name is Lisa McKenna, I am a fully qualified and insured mobile Reflexologist working in the Norwich and South Norfolk area including Bungay. Since I discovered the many benefits of this wonderful therapy I have become passionate about sharing it with others. I have been practicing as a reflexologist since early 2017 following a twenty year career in NHS mental health services. I am continually updating and increasing my knowledge as a reflexologist as I am committed to providing the best quality service to all my clients. I practice 'Light Touch' reflexology which uses gentler pressure than some other techniques although if you would like a firmer touch I am happy to oblige. 'Light Touch' reflexology works both feet simultaneously in order to promote balance and flow throughout the entire system. Treatments may be gentle but can work at a deep level and induce a profound sense of relaxation which enables someone to 'let go' of stress and tension whilst also stimulating the body's natural healing ability. Assisting with the management of side-effects for people undergoing treatment for cancer and other serious illnesses. I offer clinic treatments at Inner Space in Norwich, a peaceful and calming environment in the heart of the city - and with convenient parking too. I also provide a mobile reflexology service offering treatments in the comfort of your own home throughout the Norwich area and parts of South Norfolk - from Loddon to Long Stratton to Bungay and everywhere in between! If you just want to find out a bit more you can drop me an email or give me a ring for a chat to see if and how reflexology may be helpful for you. I have over twenty years experience working in the NHS and Local Government in Mental Health and Drug and Alcohol services as a Social Worker, Manager and Professional Lead. I have always been interested in complementary therapies and holistic health and have found that the knowledge and skills I gained during my social work career, contribute to and greatly enhance, my reflexology practice. I also have training in counselling skills and am committed to enabling others to unlock their potential and find the tools within to support their own growth and healing. Since qualifying as a Reflexologist in April 2017, I have also taken further courses in Corporate Reflexology with Louise Keet at the London School of Reflexology in October 2017, Aromareflex at the Bath School of Complementary Therapy in January 2018, and Reflexology for Women's Health with Hagar Basis from the Reflexology Academy, London, in July 2018. I am also on the committee for the Norfolk Group of Reflexologists. I love learning and am committed to constantly updating my knowledge and skills in order to continue to provide the highest quality reflexology service for all my clients.